A vehicle fire displaced one adult and two children Wednesday when it spread to several trees, a fence and caused damage to the windows of a home in Encanto, authorities said. 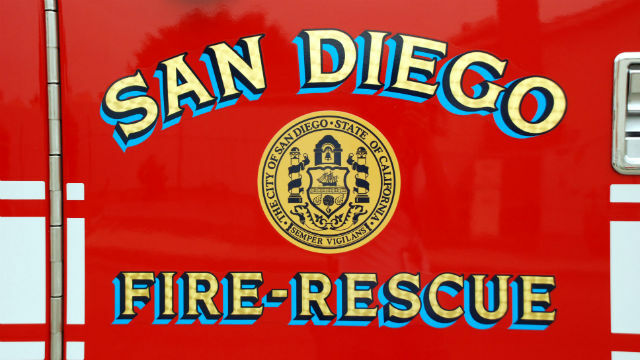 Firefighters responded to the blaze around 3 a.m. in the 300 block of 65th Street and found a vehicle engulfed in flames next to a home, San Diego Fire-Rescue spokeswoman Monica Munoz said. The flames damaged several trees, a fence and the windows of a home next to the blaze before crews were able to knock down the flames around 20 minutes later, Munoz said. The American Red Cross was called in to help the displaced — one adult and two children — arrange for alternate lodging, Munoz said. The cause of the fire was under investigation and a damage estimate was not immediately available.